I had an amazing time with this couple on a warm fall evening. They are expecting a baby soon, and wanted to capture this pregnancy in gorgeous photographs. We met at a nearby park that they really love- and so do I, Sibbald’s Point Provincial Park. We were hoping for some sunshine…. but made do with the overcast light that made the fall colours really pop. 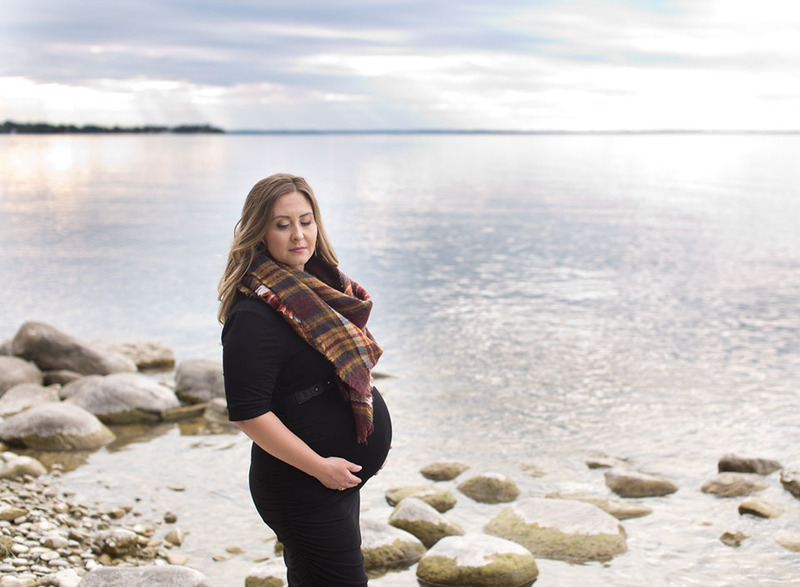 Once you have a newborn, it’s difficult to remember what you looked like pregnant- maternity photos help you remember and cherish that time. I can’t wait to meet the little one!